The first zoo we visited with our Salisbury Zoo membership through the AZA reciprocal program was The Maryland Zoo in Baltimore, MD. We had paid $36 ($45 membership with a 20% off coupon) for a family membership at the Salisbury Zoo and saved $56 on admission costs at The Maryland Zoo. Our one-year zoo membership had already paid for itself! We were very impressed by The Maryland Zoo. A lot of people make trips to The National Zoo in Washington, D.C., but I enjoyed the layout of this nearby zoo and appreciated the variety of animals they had on display. We also didn't have the traffic concerns of D.C. and parking was free. The Maryland Zoo has educational materials on their website and I printed off the Safari Exploration Sheet, attached it to a clipboard, tied a pen to the clipboard with a piece of string and each of the older kids marked the animals they found along the way. The older kids enjoyed looking for all the animals listed on the sheet and saw many others too. After finishing our second day of school I decided to take the kids to the Health Museum in Houston's Museum District near the zoo. It is free on Thursdays from 2-5 pm. We only had about an hour in the museum and the time went by quickly. We had been there one time before and even though it is a small museum we had a great time, saw new things and didn't get to do everything. They had a new exhibit about cells that we had not seen before. It used a lot of technology with touch screens, video screens and interactive displays. It will be there until August 26th. The next upcoming exhibit, Sonic Sensation, starts September 15th. 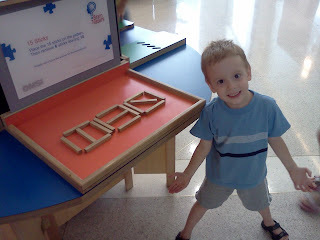 They also had brain teasers set up in the entry hall that we could have easily spent all of our time doing. But, my favorite area is the Amazing Body Pavilion. They give lots of information about different parts of the body and have a variety of hands-on displays. It is great for all ages. If you have more than one child I highly recommend doing kid dates. The idea is to have one-on-one time with a child. It doesn't have to be something extravagant. It can even be free. Wednesday will now be the day when I focus on a particular state. 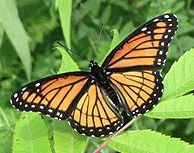 I will give you links to helpful sites, pictures, and some state facts. So, whether you are able to go there right now or not, you can learn about it and dream of going someday. We visited Alabama for the first time in 2008 and stayed in Orange Beach. I really enjoyed our stay and have fond memories of Alabama. We traveled back through this summer and I think it is a great state to visit. I love the performance arts. Plays, musicals, orchestras, operas, etc. One of my favorite things about Houston is living in a place where there are many concerts and plays to choose from. However, since cost is always a factor for our family I was thrilled to find out about Miller Outdoor Theatre. 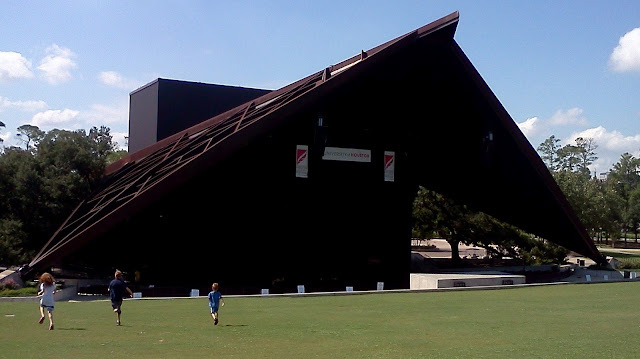 It is a large outdoor theatre with seats under a roof as well as plenty of space on a grassy hill. They have performances for children at 11 AM that are non-ticketed, movies in the evening that are non-ticketed and then other performances that are ticketed. ALL events at Miller Outdoor Theatre are FREE. But, for their evening performances you have to pick up free tickets (up to 4 to anyone 16 or older) the morning of the performance, sit on the hill or wait for empty seats that they open up for everyone right before the performance begins. Parking is also free. This is our second summer in Houston and I have learned that the way Houstonians survive summer is by staying inside, vacationing in Colorado or playing outside in water. Since we can't afford a vacation in Colorado, we don't have a neighborhood pool and I hate sitting inside all day with four energetic kids, I decided to frequent a new neighborhood splash pad. I had heard about splash pads when we moved here last summer, but they were very difficult to find. Thankfully a new park was built less than 10 minutes away from our home and the splash pad opened May 1st for weekends and every day as of June 1st. It is open dawn to dusk and they have a button that has to be pushed to start the water running. 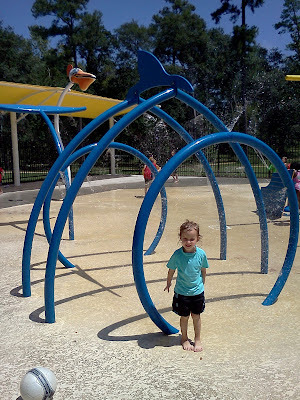 The Houston Zoo has also put in a new splash pad near the carousel and we are looking forward to checking it out soon. Do you like to go to conventions? Do you have to go for work or do you choose to go? Whatever your feeling is about conventions I would like to encourage you to go to one, at least once every few years. Preferably, I hope you can choose one that is on something that interests you and/or applies to your life. I hope to go to a travel conference, ComicCon and a forensic science conference someday, but for now I am at a homeschool convention. Since I home educate our children, this convention is immediately applicable to my life, it's close by and very affordable. I encourage you to look at conventions as TripLearning experiences for you and for your children. 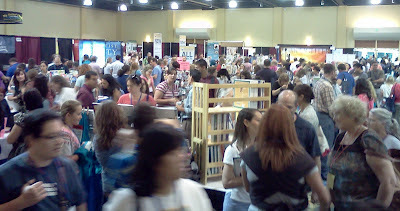 So, I thought I would share some of the things I have learned from going to homeschool conventions like this one and I think some of these things apply to other types of conventions as well.